The Paw Patrol is on a roll with Paw Patrol Roll Patrol Marshall's Pet Rescue Track Set ! Kids will love to recreate their favorite Paw Patrol missions with Marshall’s rescue vehicle and Cali figure. Send Marshall on a rescue by rotating the Parlour’s sign to rescue Cali! Marshall’s Pet Rescue Track Set features 8 pieces of track. You can build and customize the world of Adventure Bay w'ith other Roll Patrol Track Sets (sold separately) for even more racer fun! Save the day with Marshall’s Pet Rescue Track Set! Build the track set with the 8 included track pieces, and then recreate Paw Patrol missions with Marshall’s Rescue Racer and the Cali Kitty figure! Rotate the parlour sign to rescue Cali! Connect other Paw Patrol track sets to create all new adventures (each sold separately). 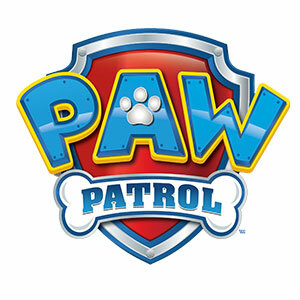 All mini figures and PAW racers work with Paw Patrol Roll Patrol sets (sold separately). Marshall’s Pet Rescue Track Set is for ages 3+. No batteries required.